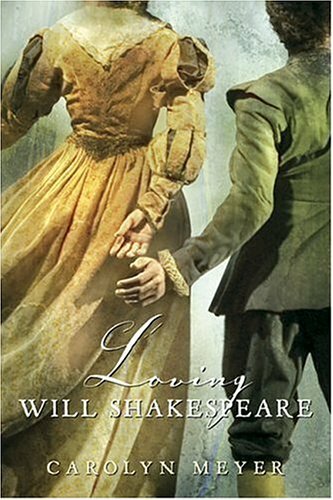 A young adult novel based around the courtship and marriage of William Shakespeare and Anne Hathaway, this book is also an excellent read on the ways of life in the country at the end of the sixteenth century in England. Agnes (called Anne by Shakespeare) lives a simple life on her family’s farm. She tends the garden, helps birth the animals, collects honey to sell and makes candles with the wax – among many other chores and duties. Though her life seems mundane, especially for the woman who was the wife of England’s greatest playwright, there was much drama in the family and community. Agnes is not one to be pushed around, but she is repeatedly tormented by her stepmother and half-sister, and so her decisions are sometimes based on the need to either appease them or escape. William is not her first suitor, as she was 26 when they married. This story covers her entire childhood from age 7 to her death many years later, but mostly centers on the years just before her marriage. I found this to be a quick and enjoyable read, and an especially enlightening look at life in small-town Elizabethan England. There is one quick view of the Queen, though she is definitely not the center of this novel, nor is royalty in the minds of such people. Though royalty is always fascinating to me, I am equally enamored of learning the ways of life of the lesser known of the era. This is a great book to read if you are interested in the life and times of William Shakespeare, and his rise to glory. While he was a very likable youth and suitor to Anne, his later years weren’t as admirable when it comes to family obligations. I have an opposing view yet to read – Mistress Shakespeare by Karen Harper, which is about his supposed other love, Anne Whateley.